It must be the proliferation of wannabe journalists that’s responsible for the ridiculous attention given to the American festival of Halloween – in shops and in the meeja. Because if nobody wrote about such rubbish, nobody else would find it interesting to participate in such childish games. How much healthier to celebrate the grand ole English Gunpowderfest! Lots of smoke and undercooked sausages, sparklers and dads losing the matches. Dress code optional, letter boxes off limits. But of course our old f(r)iend Elf ‘n Softy has put the damper on family highjinks of that kind – so Guido Fawkes’ gruesome demise now has to be imagined in public places suitably patrolled and sanitised for our delectation. Luckily a timely new tv series will soon remind us of the bloody fate in store for those traitors in 1605 – portrayed in graphic detail in the comfort of our homes. Meanwhile at Cambridge (always the wimps) students are warned that Shakespeare carries a health warning – and lights out please before the tv watershed at 9 o’clock. Again, the Yanks are ready to entertain us with the promise that Don the One will allow the release of the JFK files which the forces of law and order have kept locked away for 50 years; subtext: the truth will finally be known. Yeah, really? I rather suspect the critical papers will have been chucked on the bonfire decades ago – to protect the innocent, naturally. We’ll see. Now just a cotton pickin’ moment there, Muskrat. Halloween, Hallowe’en, or All Hallows Eve is a perfectly respectable Christian festival in Britain long before modern day Septicshire was even a nightmare in the more fevered dreams of native Americans. You are thinking of the hateful, exploitative ‘Trick-or-Treat’ scam that filtered unrefined and unchecked across the pond in the past two or three decades to fester in the psyche of Book of Face mothers and their overindulged, overphotographed spawn. I suggest that if you (not you personally, Janus and cherished readers) do not want your precious offspring eating toffee onions, chocolate covered sprouts, grapes packaged in Werther’s Original wrappers and suchlike as suggested by the proliferation of revenge sites on t’Interweb, you may wish to keep yourself and your little fekkers off the streets in the first place, especially those who are wildly allergic to the mildest disappointment and who would be emotionally scarred for life by the merest suggestion that the world does not revolve around them. While I would not waste my time dipping sprouts in melted chocolate or wrapping grapes up in sweet wrappers, I do like the idea. I would love to know whether the traditional Hallowe’en party still happens in Scotland as in my childhood. Dooking for apples, treacle smeared scones – both with hands tied behind one’s back. I’m not sure what effect this had on evil spirits lurking around, since the turnip lantern was supposed to scare them away. I must contact my cousins. The custom has now grown to include necking the deep-fried Mars bar, hiding the haggis and spotting the Wee Krankie. The Wee Krankie is one of the evil spirits that the lantern is meant to drive away and true enough, she has been quite quiet recently. Y’know, chocolate covered sprouts don’t sound at all bad to me. Not too sure about toffee onions, though, and wrapping grapes in sweet wrappers would only slow down my consumption thereof. 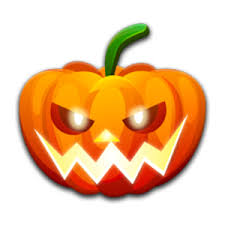 All Hallows Eve that was, now Halloween, is now no more than a commercial “holiday,” at least in the USA. It grieves me to note that much the same thing has happened to Christmas. These days, one couldn’t accumulate enough gunpowder to do any worthwhile amount of damage without being branded a terrorist. As for those Cambridge wimps, I’ve got a “trigger warning” for them: right here, my finger on the trigger. Following their kind of thinking to another level of absurdity, do you suppose that voters will be strongly cautioned that some of the candidates may cause them mental distress?